PATRICK JOSEPH BREWER “Ksikkonista”- (White Buffalo Calf) passed away peacefully in Cardston on Monday January 21, 2019 at the age 80 years. He was born in Cardston on March 17, 1938, and raised in the Bullhorn area. He married Kathy Jackson in 1977 and together they raised their children. Pat was born to Ben and Annie (Good Rider) Brewer. Pat was predeceased by his parents Ben and Annie Brewer, Sisters- Bertha Brewer, Rachel Weasel Fat, Celina Good Striker, Brothers – Gill, Justin, Wilbert, Hugh. He is survived by his sons: Curtis (Lorraine) Iron Shirt, Mark Mervin (Beverly) Brave Rock, Clement (Tanya) Brave Rock, Sheldon (Starlite) Brewer, Jonathon (Tania) Brewer; Daughters: Shelley (Raynard) Iron Shirt, Donna Oka, Lorlie Manyguns, Stephanie Brave Rock. Adopted children: Cally Eagle Tail Feathers, Ignatius Pielecki, Chris Souster, Jimmy Rider, grandchildren and great grandchildren. Sisters: Nora Healy, Debbie Brewer; Brothers: Ray Brewer and Phillip Brewer. Achievements: Pat was a School Bus Driver for the School Bus Co-op for many years. When Pat started his family, he moved back to the Bullhorn area where he started his own Farming & Ranching operation. Pat was proud to have done his own farming and loved the hours spent in his tractor and combine, he was also a successful rancher. Pat was a Band police officer ,Chief of Police then graduated to Special Constable with the Royal Canadian Mounted Police (RCMP) in of November. Pat was one of the Founding members who started St. Paul Treatment Center and served on the Board of Directors, He graduated from Mount Royal College with his Social Work Degree in May 1994.and worked for 25 years for the Blood Band Social Development, while there he claimed the staff there as his second family and depended on his sister/cousin, Kathy Hunt to help him when things got busy at the office. In 1978 Pat graduated from the Nechi Institute on Alcohol and Drug. Pat served not only on the Board of Directors but also served as an Addictions Counsellor. During his later years, Pat began dancing as a Buckskin Dance and was well known where he went, He began dancing with his sons, Sheldon and Jonathon, most recently he loved watching his grandchildren Ashlyn and Dreydon who followed him on the pow wow trail. His favorite dance partners being Floyd Rider, Davis Bull Bear, Charlie Man Deroche, Richard Day Chief, Gilbert Provost and many more. Pat was an avid hockey player and won the MVP All Star Center while playing as a young man in Standoff, later on when he had his own sons, he then coached the Cardston Midgets. In 1953 he joined the Blood Reserve Boxing Club and won many trophies and ribbons. While working at the Department of Social Services, he could always be found with Brent Singer at the Golf Courses and joined many tournaments both in Canada and the United States. The family would like to thank Chinook Regional Hospital of the 4C staff, Cardston Municipal Hospital, Dr. Taylor and staff, Dr. Leavitt and staff, and Legacy Funeral Home. and the family apologises to anyone we may have missed. 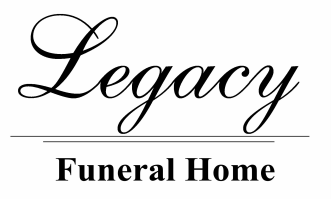 A Family Service will be held at Legacy Funeral Home, Cardston on Sunday, January 27, from 5:00 – 6:00 p.m. followed by the Wake Service at the Gladstone Hall from 7:00 – 11:00 p.m. The Funeral Mass will be at St. Mary’s Catholic Church, Blood Reserve on Monday, January 28th, at 11:00 a.m. Interment in the Blood Band Cemetery. Condolences may be sent by CLICKING HERE.